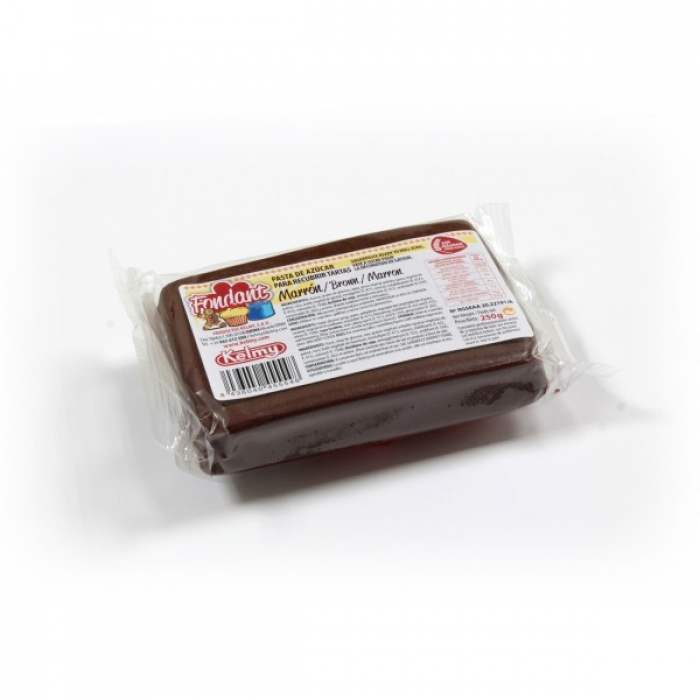 Kelmy Brown Fondant available in a handy 250g pack for small projects. With a smooth gentle vanilla flavour Kelmy Fondants will need smooth, not sticky and can be rekneaded as necessary. Any concentrated colour in the fondant will knead out. Knead with a little cornflour. Store in a cool dry area in sealed packaging at room temperature. Do not store in the fridge. Gluten Free, suitable for Vegeterians, Kosher and Halal Certified.